Ann Mcaleer and Phelim Mcaleer discuss their movie about Kermit Gosnell. Mike talks with film makers Ann McElhinney & Phelim Mcakeer about their documentary concerning the abortion doctor Kermit Gosnell and the atrocities he committed at his clinic. They discuss Gosnell’s trial and why the media was so quiet about it. ‘Gosnell’ The Movie: Is America Ready for a Pro-Life Film? “Gosnell: The Untold Story of America’s Most Prolific Serial Killer” Is A Disgusting, Disturbing Book. You Need To Read It. Gosnell: The Untold Story of America’s Most Prolific Serial Killer is not a book you should read before bedtime. But it is indeed a book you should read. Imagine the most disgusting place possible–something straight out of an episode of Hoarders, or one of Stephen King’s more twisted works, perhaps. Gosnell’s clinic in Philadelphia was worse. Through interviews with police officers who initially busted the clinic for being a pill mill, former patients, and former clinic employees, McElhinney and McAleer manage to paint a vivid yet utterly disturbing picture of just how disgusting the conditions were at the office. Dirty, broken equipment. Disposable equipment being re-used. Bloodstains everywhere. Girls getting STDs from procedures. Unqualified staffers administering anesthesia. A pair of cats roaming around freely. Just when you think things can’t get any more disturbing, they somehow do. It’s a miracle more women weren’t killed. Throughout the book, the major feeling conveyed is a sense of utter despair and confusion that this was allowed to happen for as long as it did. Thanks to regulations that were designed to ensure that women had easy access to safe abortion, the clinic was not inspected for a period of 17 years. Until the police raided the place in 2010 after a tip that Gosnell was supplying drug dealers with opiates, the clinic had last been inspected in 1993. To put things into comparison, nail salons in Pennsylvania are inspected at least every other year. Yet, nobody did anything about Gosnell’s clinic for nearly two decades–even after two women died after their abortions and another came very close to being a third. Nothing. McElhinney and McAleer do an excellent job of describing the horrors of Gosnell’s crimes without being overly preachy. McElhinney has written about how she had previously been annoyed by pro-life activists, and her writing comes off as about as objective as a person can be when confronted with crimes of this magnitude. The authors do not shy away from graphic descriptions of both the scene and of Gosnell’s victims–even if the reader may prefer they do as such. It’s important that the utter evil is confronted head on–which in the chapter Media Malpractice, the authors outline how this story was almost swept entirely under the rug. Their effort to correct this wrong culminated in this book, and in their upcoming film. In short: This is the most disgusting, upsetting, and utterly disturbing book I’ve ever read. Yet, in order to prevent something like this from happening ever again, it’s one that absolutely needs to be read. 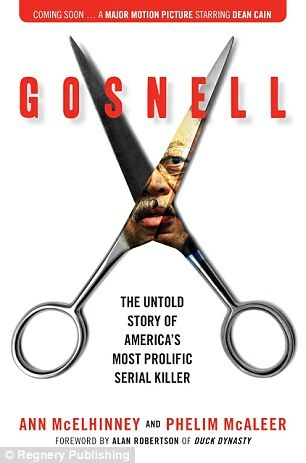 Gosnell: The Untold Story of America’s Most Prolific Serial Killer is available on Amazon and wherever books are sold. Kermit Barron Gosnell (born February 9, 1941) is an American former abortion-provider who was convicted of murdering three infants who were born alive during attempted abortion procedures. Gosnell owned and operated the Women’s Medical Society clinic in Philadelphia, Pennsylvania and he was a prolific prescriber of OxyContin. In 2011, Gosnell and various co-defendant employees were charged with eight counts of murder, 24 felony counts of performing illegal abortions beyond the state of Pennsylvania’s 24-week time limit, and 227 misdemeanor counts of violating the 24-hour informed consent law. The murder charges related to an adult patient, Karnamaya Mongar, who died following an abortion procedure, and seven newborns said to have been killed by having their spinal cords severed with scissors after being born alive during attempted abortions. In May 2013, Gosnell was convicted of first degree murder in the deaths of three of the infants and involuntary manslaughter in the death of Karnamaya Mongar. Gosnell was also convicted of 21 felony counts of illegal late-term abortion, and 211 counts of violating the 24-hour informed consent law. After his conviction, Gosnell waived his right to appeal in exchange for an agreement not to seek the death penalty. He was sentenced instead to life in prison without the possibility of parole. Kermit Gosnell was born on February 9, 1941, in Philadelphia, the only child of a gas station operator and a government clerk in an African-American family. He was a top student at the city’s Central High School from which he graduated in 1959. Gosnell graduated from Dickinson College in Carlisle, PA with a bachelor’s degree. Gosnell received his Medical Degree at the Jefferson Medical School in 1966. It has been reported that he spent four decades practising medicine among the poor, including opening the Mantua Halfway House, a rehab clinic for drug addicts in the impoverished Mantua neighborhood of West Philadelphia near where he grew up, and a teen aid program. He became an early proponent of abortion rights in the 1960s and 1970s and, in 1972, he returned from a stint in New York City to open up an abortion clinic on Lancaster Avenue in Mantua. Gosnell told a Philadelphia Inquirer reporter in October 1972: “as a physician, I am very concerned about the sanctity of life. But it is for this precise reason that I provide abortions for women who want and need them”. The 1972 Inquirer article also said that Gosnell was a “respected man” in his community, a finalist for the Junior Chamber of Commerce’s “Young Philadelphian of the Year” because of his work directing the Mantua Halfway House. By the late 1980s, however, public records showed state tax liens were piling up against the halfway house, and the abortion clinic had a $41,000 federal tax lien. Gosnell has been married three times. His third and current wife, Pearl, had worked at the Women’s Medical Society as a full-time medical assistant from 1982 until their marriage in 1990. They have two children; the younger, being a minor, is being cared for by friends Gosnell has four other children from his two previous marriages. In covering his background, media commentators drew attention to the “incredibly diverse” portrayals of Gosnell, touching on both his community works – the creation of a drugs halfway house and teen aid program – contrasted with portrayals of his practice as an alleged abortion mill in which viable fetuses and babies were routinely killed following illegal late-term procedures. 1989 and 1993 – cited by Pennsylvania Department of Health for having no nurses in the recovery room. 1996 – censured and fined in both Pennsylvania and New York states, for employing unlicensed personnel. Around 1996 – Pediatrician Dr Schwartz – the former head of adolescent services at the Children’s Hospital of Philadelphia and as of 2010, Philadelphia’s health commissioner – testified in the 2010 hearing that around 1996 or 1997, he had hand-delivered a letter of complaint about Gosnell’s practice to the Secretary of Health’s office and stopped referring patients to the clinic, but received no response. 2000 – Civil lawsuit filed on behalf of the children of Semika Shaw, who had called the clinic the day after an abortion to report heavy bleeding, and died 3 days later of a perforated uterus and a bloodstream infection. The case alleged that Gosnell had failed to tell her to return to the clinic or seek emergency medical care. It was settled out of court in 2002 for $900,000. Around 2001 – Gosnell claimed to be providing children’s vaccines under a program administered by the Health Department’s Division of Disease Control, but was repeatedly suspended for failing to maintain logs and for storing vaccines in unsanitary and inappropriate refrigerators, and at improper temperatures. December 2001 – ex-employee Marcella Choung gave what the Grand Jury would later call “a detailed written complaint” to the Pennsylvania Department of State, one which she followed up with an interview in March 2002. In total during the course of his career, 46 known lawsuits had been filed against Gosnell over some 32 years. Observers claimed that there was a complete failure by Pennsylvania regulators who had overlooked other repeated concerns brought to their attention, including lack of trained staff, “barbaric” conditions, and a high level of illegal late-term abortions. Gosnell’s license to practice was suspended on 22 February 2010, and these and other findings were presented to a Grand Jury on 4 May 2010. Public discussion focused on claims of unsanitary conditions and other unacceptable conditions at the practices. Media reports stated that furniture and blankets were stained with blood, freely roaming cats deposited their feces wherever they pleased, and that non-sterilized equipment was used and reused on patients. According to the grand jury report, patients were given labor-inducing drugs by staff who had no medical training. Once labor began, the patient would be placed on a toilet. After the fetus fell into the toilet, it would be fished out, so as not to clog the plumbing. In the recovery room, patients were seated on dirty recliners covered in blood-stained blankets. 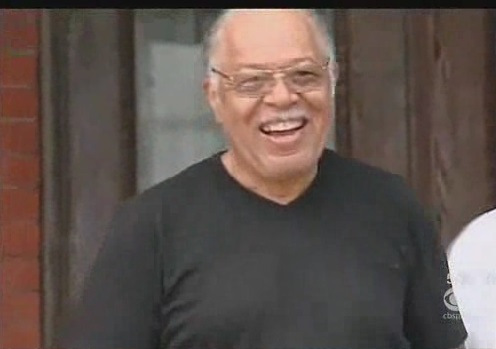 Prosecutors alleged that Gosnell had not been certified in either gynecology or obstetrics. The Grand Jury estimated that Gosnell’s practice “took in $10,000 to $15,000 a night” additional to income from his exceedingly high level of prescriptions. Gosnell was arrested on January 19, 2011, five days after the certification of the Grand Jury’s report. He was charged with eight counts of murder. Prosecutors alleged that he killed seven babies born alive by severing their spinal cords with scissors, and that he was also responsible for the death in 2009 of Karnamaya Mongar, a 41-year-old refugee from Bhutan, who died in his care. Gosnell’s wife, Pearl, and eight other suspects were also arrested in connection with the case. The Drug Enforcement Administration, The Federal Bureau of Investigation, and the Office of the Inspector General also sought a 23-count indictment charging Gosnell and seven members of his former staff with drug conspiracy, relating to the practice’s illegally prescribing highly-addictive painkillers and sedatives outside the usual course of professional practice and not for a legitimate medical purpose. The United States Attorney for the Eastern District of Pennsylvania also alleges that Gosnell’s former office staff at Family and Women’s Medical Society (WMS) ran a prescription “pill mill.” From June 2008 through February 18, 2010, Gosnell allegedly engaged in a continuing criminal enterprise by writing and dispensing fraudulent prescriptions for thousands of pills of the frequently-abused tablets OxyContin, Percocet, and Xanax, and the frequently-abused syrups Phenergan and Promethazine with Codeine. Authorities further allege that Gosnell and his staff allowed customers to purchase multiple prescriptions under multiple names. For the first office visit, Gosnell allegedly charged $115, but that increased around December 2009 when he allegedly increased the initial office visit fee to $150. Staff at the clinic went from writing several hundred prescriptions for controlled substances per month filled at pharmacies in 2008 to over 2,300 filled at pharmacies in January 2010. Gosnell, with the assistance of his staff, is said to have distributed and dispensed more than 500,000 pills containing oxycodone; more than 400,000 pills containing alprazolam; and more than 19,000 ounces of cough syrup containing codeine. Girl age 15, accompanied by relative (1998): said to have told Gosnell she changed her mind about the abortion once inside the practice. Gosnell allegedly got upset, ripped off the patient’s clothing, and forcibly restrained her. The patient later stated that Gosnell told her “This is the same care that I would give to my own daughter.” She regained consciousness 12 hours later at her aunt’s home, the abortion having been completed against her will. Fifteen-year-old (undated): damages awarded in court upon a finding that Gosnell performed an abortion on a fifteen-year-old without parental permission. Karnamaya Mongar, a 41-year-old refugee from Bhutan (2009): according to prosecutors, Gosnell’s staff gave the 90-pound woman a lethal dose of anesthesia and painkillers during a 2009 abortion (this is the adult whose death is charged as third degree murder). During Gosnell’s trial, a toxicologist testified to unsafe levels of the drug, and the chair of Anesthesiology at the University of Pittsburgh Medical School testified that the dose received by her was “outrageous” and “most” average adults would have stopped breathing if dosed in the manner described. Gosnell’s lawyer asserts that Karnamaya Mongar also had other drugs in her system that did not come from Gosnell’s clinic, and that none of the infants were born alive. Reports state that state officials had failed to visit or inspect Gosnell’s practices since 1993. The grand jury report noted that the medical examiner of Delaware County alerted the Pennsylvania Department of Health that Gosnell had performed an illegal abortion on a 14-year-old who was thirty weeks pregnant; it is also claimed the Pennsylvania Department of Health did not act when they became aware of Gosnell’s involvement in the death of Karnamaya Mongar. In 2011, it was reported that none of Pennsylvania’s 22 abortion clinics had been inspected by the government for more than 15 years. Inspections (other than those triggered by complaints) had ceased under Ridge’s governorship, as they were perceived to create a barrier to women seeking abortion services. not about that controversy; it is about disregard of the law and disdain for the lives and health of mothers and infants. We find common ground in exposing what happened here, and in recommending measures to prevent anything like this from ever happening again. Patients given labor and delivery inducing drugs during the day, then left waiting until late evening for Gosnell to attend or for surgery. Many gave birth during the day as a result, and employees testified “it was standard procedure for women to deliver fetuses – and viable babies – into toilets” while waiting for his arrival. Woman “left lying in place for hours after Gosnell tore her cervix and colon“; relatives called police after entrance refused, remedial colon surgery required. Woman sent home with fetal remains unremoved, “serious infection” led to near death. Punctured uterus leading to shock from blood loss and hysterectomy; woman “held for hours” by the practice. Death of Karnamaya Mongar, who received “repeated unmonitored, unrecorded intravenous injections of Demerol” (meperidine hydrochloride, an opioid analgesic which the report describes practice staff using as a cheap but dangerous sedative), and ceased breathing. Staff were unable to revive her (emergency medications were not used and the defibrillator was not working), and paramedics were unable to revive her after gaining access, in part because they were deceived by staff as to what had happened and the drugs and dosages responsible. Gosnell, Williams, Moton, Massof, and West – charged with conspiracy to commit murder in relation to “hundreds of unidentifiable instances” of post-operative killings (called “snipping” by staff). The jury also recommended charges of solicitation to commit murder by Gosnell. Gosnell – recommended to be charged with abuse of corpses, in regards to the “mutilat[ion of] babies and fetuses by cutting off their feet” and the “bizarre” storage of parts of fetal bodies in around 30 jars and other containers at his practice; his explanation that this was done for possible paternity cases was “rejected out of hand”. Gosnell and Baldwin – charged with corrupting the morals of a minor, by hiring her 15-year-old daughter as a staff member, who was “required to work 50-hour weeks, starting after school until past midnight, during which she was exposed to the full horrors of Gosnell’s practice”. Statutory changes are necessary as well. Infanticide and third-trimester abortion are serious crimes. The two-year statute of limitations currently applicable for these offenses is inadequate to their severity. The limitations period for late abortion should be extended to five years; infanticide, like homicide, should have none. Impersonating a physician is also a serious, and potentially very dangerous, act. Yet under current law it is not a crime at all. An appropriate criminal provision should be enacted. There may also be other statutory and regulatory revisions that we, as lay people, have not thought to consider. Legislative hearings may be appropriate to further examine these issues. As a result, the only employee on trial with Gosnell is Eileen O’Neill, an employee who allegedly held herself out as a doctor at the clinic when she was not licensed. Her lawyer told jurors she never did so, and performed medical duties only under Gosnell’s orders. On March 18, 2013, opening statements were given in a Philadelphia court. On April 23, after the prosecution had rested its case, the judge dismissed three of the seven first-degree murder charges (the next day the judge reinstated charges related to one and dismissed another, explaining the wrong charge had been mistakenly dismissed), the one count of infanticide, and all five charges of abusing a corpse Gosnell had been charged with, as well as six of the nine charges of theft by deception faced by O’Neill. No formal ruling has yet been given for these dismissals. Media sources following the trial have suggested that there may have been insufficient evidence of post-procedure life to sustain charges in law. Although prosecutors had argued the movements were voluntary and therefore signs of life, it was argued that the evidence offered by prosecutors were equally capable of being interpreted in some or all of these as single autonomous post-mortem motor movements or spasms instead of clinical signs of life, and additionally that none of the seven were capable of being alive as all had been previously killed clinically in utero by means of drugs as part of the procedure. Also, although staff had used descriptions such as “jumping” and “screaming” in their testimony, Gosnell’s defense noted that testimony had shown only single movements or breaths, stating that the testimony was not evidence of “the movements of a live child”, and the medical examiner had also testified that tests could not determine whether or not any of the 47 fetuses found had been born alive due to tissue deterioration. The remaining four first-degree murder charges could still have led to the death penalty. The 3rd-degree murder charges in the death of Karnamaya Mongar, the racketeering charge, and over 200 charges related to multiple violations of abortion law were also left standing. Gosnell’s defense attorney rested his case summarily without calling or questioning any witnesses, and without Gosnell taking the stand in his defense, leaving the defense case until final arguments (under US law, a defendant may choose not to take the stand; if so then the jury is instructed that no inference or assumption may be drawn from this). O’Neill also did not testify in her defense. The case went to jury deliberation on April 30, 2013. Steven Massof, a medical school graduate who lacked a license, pleaded guilty in November 2011 to two counts of 3rd-degree murder for the deaths of two babies who had been born alive. Pearl Gosnell, Kermit’s wife, was charged with abortion at 24 or more weeks, conspiracy and participating in a corrupt organization. She pleaded guilty to these charged on Dec. 13, 2011. Pearl Gosnell was sentenced to 7 to 23 months in prison. Steven Massof and Eileen O’Neill, both medical school graduates without proper licensing to be doctors in Pennsylvania. Gosnell presented these employees as physicians and billed insurance companies more on this allegation. All three are charged with theft by deception for these acts. Kareema Cross, who testified at the state trial she had seen at least ten babies breathe after being aborted who were then killed, pleaded guilty to federal drug charges over improper distribution of pain medicine from Gosnell’s clinic. On May 13, 2013, the jury reported that they were deadlocked on two counts. After returning to deliberations, the jury convicted Gosnell of 3 counts of murder, one count of involuntary manslaughter, and many lesser counts. He was found not guilty on one of the counts of murder. On May 14, 2013, Gosnell struck a deal with prosecutors in which he agreed to waive all his appeal rights regarding his conviction on the day earlier. In exchange, prosecutors allowed Gosnell to be sentenced to life in prison without the possibility of parole. On May 15, 2013, Gosnell was sentenced to life in prison for the third child’s murder. In April 2011 the University of Pennsylvania Health System claimed as early as 1999 that they had provided to authorities reports about botched procedures by Gosnell. The only case for which any reports were produced was that of Semika Shaw, a 22-year-old, who died at the University of Pennsylvania hospital as a result of bleeding and sepsis caused by a botched procedure by Gosnell. Gosnell’s insurers settled a lawsuit with family members of Shaw for $900,000. The health system also claims other undocumented reports were made orally, for which they did not have records. The Consumer Protection and Professional Licensure Committee of the Pennsylvania State Senate, led by Robert M. Tomlinson, began a hearing in February 2011 to look into the failure of the Pennsylvania Department of State — which is responsible for licensing doctors — to provide any oversight of Gosnell’s activities. At the same time, the Public Health and Welfare Committee of the state Senate, chaired by Pat Vance, conducted hearings on the Pennsylvania State Health Department’s failure to put a stop to Gosnell’s activities. In part as a result of the grand jury report on Gosnell, in late 2011, Pennsylvania passed a law, SB 732, that places abortion clinics under the same health and safety regulations as other outpatient surgical centers. Among those who supported the bill was Democrat Margo L. Davidson, whose cousin Semika Shaw died as a result of procedures done by Gosnell. Davidson specifically linked her support for the additional regulations to her cousin’s death, which she attributed to poor medical practices. In May 2013, as a result of the Kermit Gosnell case, Representative Joe Pitts (R-Pennsylvania), chair of the health-matters subcommittee of the United States House of Representatives‘ Energy and Commerce Committee, began an inquiry into states’ oversight of abortion clinics. In June 2013, the Republican-led U.S. House of Representatives passed the Pain-Capable Unborn Child Protection Act. Speaker of the House John Boehner said the bill was in response to Gosnell’s convictions. The legislation was viewed as mostly symbolic, as it stood little chance of being approved by the Democratic-led U.S. Senate. In February 2011 Pennsylvania Governor and former State Attorney General Tom Corbett fired six employees and commenced action to fire eight others where for legal or contractual reasons, more extensive dismissal procedures were required. These included Basil Merenda, the acting head of the Pennsylvania Department of State, Christine Dutton, the Department of Health’s chief counsel (who, in reaction to being questioned why the Department did not react to a death at Gosnell’s clinic, said “people die”), and Stacy Mitchell, a deputy secretary in the health department (whom the grand jury cited as a key figure in the Health Department’s indifference to, and non-regulation of, abortion clinics). Some of the people most connected by the grand jury report with the failure of the government to act, such as Janice Staloski, had retired by this point and so no action was taken against them. The family of Karnamaya Mongar has brought a wrongful death suit against Gosnell and sought to freeze his assets to prevent him from transferring them to other people to avoid paying. As of April 2013 the suit is still pending. Gosnell also practiced in other states, including Delaware. In January 2011, Delaware Attorney General Beau Biden (D-Delaware) promised a wide-ranging investigations into the abortions Gosnell performed in Delaware saying; “I’m disturbed by the allegations that were handed up by the grand jury in Philadelphia”. A spokesperson for the National Abortion Federation, an association of abortion providers, noted that Gosnell had been rejected for membership following inspection, because his clinics did not meet appropriate standards of care, but that “they’d cleaned the place up and hired an RN [registered nurse] for our visit. We only saw first-trimester procedures.” She adding that “Unfortunately, some women don’t know where to turn. You sometimes have substandard providers preying on low-income women who don’t know that they do have other (safe) options.” A spokesperson for Planned Parenthood in Southeastern Pennsylvania, condemned Gosnell, saying, “We would condemn any physician who does not follow the law or endangers anyone’s health… All women should have access to high-quality care when they are vulnerable and facing difficult decisions.” Dayle Steinberg, CEO of Planned Parenthood of Southeastern Pennsylvania, says she knew that Gosnell had provided abortions in Philadelphia for many years, but says she hadn’t heard of any problems at his clinic until the allegations surfaced. She has been quoted as stating that “when Gosnell was in practice, women would sometimes come to Planned Parenthood for services after first visiting Gosnell’s West Philadelphia clinic, and would complain to staff about the conditions there. We would always encourage them to report it to the Department of Health.”  She clarified that “when Gosnell was arrested, I asked our staff if anyone had ever heard of him, and clinic staff members reported that a few women over the years said they were concerned about the uncleanliness of his facility and came to Planned Parenthood instead… if we had heard anything remotely like the conditions that have since come to light about Gosnell’s facility, of course we would have alerted the state and other authorities”. A perception had built up among some journalists and pro-life groups that there had been a reluctance to report on the trial among mainstream media. In an April 11, 2013 opinion column for USA Today, Kirsten Powers wrote: “A Lexis-Nexis search shows none of the news shows on the three major national television networks has mentioned the Gosnell trial in the last three months”, and that national press coverage was represented by a Wall Street Journal columnist who “hijacked” a segment on Meet the Press, a single page A-17 story on the first day of the trial by The New York Times, and no original coverage by The Washington Post. While Kirsten Powers is credited by some for drawing media coverage to the Gosnell trial, Dave Weigel at Slate.com reported it was conservatives’ aggressive use of social media, especially Twitter, that “goaded” the press into covering the trial in Philadelphia. According to Weigel, Troy Newman, president of the Kansas-based pro-life Operation Rescue, had organized a Twitter campaign using “#Gosnell” to break the “Gosnell Media Blackout.” Key to that social media campaign was a picture of rows of empty media seats in the Gosnell courtroom taken by Calkins Media columnist J.D. Mullane. Mullane told Weigel he was struck by the absence of media at the trial, and took out his iPhone and snapped the picture, tweeting it later that night. Writing for The Washington Post, Melinda Henneberger responded that “we didn’t write more because the only abortion story most outlets ever cover in the news pages is every single threat or perceived threat to abortion rights. In fact, that is so fixed a view of what constitutes coverage of that issue that it’s genuinely hard, I think, for many journalists to see a story outside that paradigm as news. That’s not so much a conscious decision as a reflex, but the effect is one-sided coverage”. Explaining why some of her colleagues did not report on the story, Henneberger wrote, “One colleague viewed Gosnell’s alleged atrocities as a local crime story, though I can’t think of another mass murder, with hundreds of victims, that we ever saw that way. Another said it was just too lurid, though that didn’t keep us from covering Jeffrey Dahmer, or that aspiring cannibal at the NYPD.” Writing for Bloomberg View, Jeffrey Goldberg said that this story “upsets a particular narrative about the reality of certain types of abortion, and that reality isn’t something some pro-choice absolutists want to discuss”. The Los Angeles Times, The Atlantic, Slate, and Time all published opinion columns where the writer thought the incident was not getting as much media coverage as it deserved. Megan McArdle explains that she didn’t cover it because it made her ill, but also how being pro-choice influenced writers saying “most of us tend to be less interested in sick-making stories if the sick-making was done by ‘our side,'” saying, “this story should have been covered much more than it was — covered as a national policy issue, not a ‘local crime story. '” Martin Baron, The Post’s executive editor, claims he wasn’t aware of the story until Thursday, 11 April, when readers began emailing him about it, saying “I wish I could be conscious of all stories everywhere, but I can’t be”. They ultimately decided that, in fact, the story warranted attention because of “the seriousness and scope of the alleged crimes and because this was a case that resonated in policy arguments and national politics”, adding “In retrospect, we regret not having staffed the trial sooner. But, as you know, we don’t have unlimited resources, and […] there is a lot of competition for our staff’s attention”. He insisted that “we never decide what to cover for ideological reasons, no matter what critics might claim. Accusations of ideological motives are easy to make, even if they’re not supported by the facts”. The New York Times also acknowledged the lack of coverage and reported on the online campaign and subsequent increase in coverage of the case. While Powers’ piece clearly sparked debate among journalists, Katherine Bindley also highlights contrasting views, as does Paul Farhi. A column on Salon.com questioned whether the Gosnell case was an example of liberal media bias, saying that conservative media and politicians had also given little attention to the story until April 2013. In April 2013, 71 other Members of Congress joined Congresswoman Marsha Blackburn in a letter condemning the media “blackout” on the Gosnell trial. In early 2014 filmmakers Ann McElhinney, Phelim McAleer, and Magdalena Segieda announced they will be producing a true crime drama film of the Gosnell crimes. Nick Searcy will direct and John Sullivan is executive producer. The working title for the film is Gosnell: America’s Biggest Serial Killer. The producers raised money for production of the movie on the crowdfunding site Indiegogo, receiving $2.3 million from backers. Andrew Klavan has been hired to be the screenwriter for the movie. Earl Billings will play Gosnell, and Dean Cain will play Detective James Wood.